For Partners and Partner Employees. Use the following procedure if you need to provide a Customer with an invoice. In the Portal, open the Customer account. 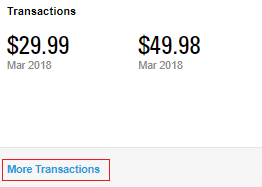 Under Transactions, click More Transactions. Click View to see the statement or click Download as PDF if you need to provide the statement.